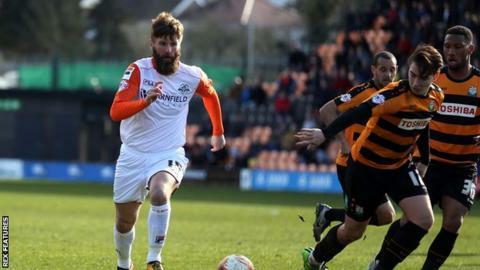 Paddy McCourt has left League Two side Luton Town by mutual consent to return to his native Northern Ireland. The 32-year-old ex-Celtic and Brighton winger joined the Hatters on a two-year deal last summer and played 26 times. "Paddy has had to face up to some personal problems in recent weeks," said boss Nathan Jones. "At the end of the season he came to me and it was soon clear that he wanted to return to Northern Ireland to be closer to his family and to play there again." Jones added: "It wasn't a straightforward decision for me - Paddy has done well for us, but in the end we reached an agreement and he goes with my blessing."